AT and I have been friend for more than a decade, we were colleague, working together in the same department for several years before AT decided to move on to another organization. AT is an amicable person, a father of 2 wonderful girls, and a very patient husband. AT currently is an individual contributor, handling his organization computer regional network connectivity and operation. He is happy with his existing job, reporting to a good boss who empowers him with freedom to perform his daily works. Despite of healthy work hygiene, AT finds his potential is under-utilized and would like to prepare himself for the next level of his career, aiming for better financial reward justifiable by undertaking heavier responsibility. I started the session by emphasizing that coaching is a confidential conversation between me as a coach and AT as coachee. 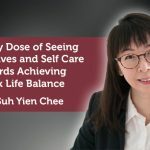 The content will be about AT’s present and future, a kind of inner search to look into different aspect of life, assess what is working and what is not working. It is not about consultation, treatment nor therapy. I also pointed out, in order to have the best result, AT will need to take ownership of the coaching outcome and take action achieve his objective. AT’s desired outcome from the coaching session is to have clarity of how his next level of career look like and what does AT need to do in order to achieve his goal. 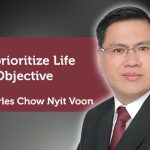 Years before I embarked on coaching skill journey, when we were still colleague, AT on several occasions shared with me his career aspiration, seeking my input in order to have a better insight toward his decision making. I was surprised to know when he mentioned he took my input seriously before making decision to resign. He was in doubt before he shared with me, did not believe he could make it out there. When I called him up to ask for his permission to coach him, he was very happy to hear I am undertaking my coaching journey and we were instantly at “the speed of trust”. 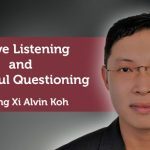 I practice active listening and powerful questioning skill to help AT to envision how his next level of career looks like. 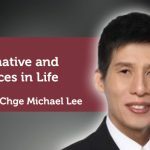 We explore possibilities, looking into where could opportunity arises, examining the situation in AT’s existing organization, what would be waiting in the other organization, what kind of role AT can undertake and so on so forth. Apparently AT has been focusing on his technical skill and overlooked on his personality power or people skill. There is potential in AT to undertake leadership role. Completing the personal governance value/strength finding, AT discovers he is a committed, hevalues honesty and integrity, to treat others the he want to be treated by others and follow thru to completea call of duty. With such value or personality power in him, AT see himselfcan become a good team leader. In the end, AT can envision two possibilities for his next level of career. He has options to aim toward being a specialist by leveraging his technical skill, or alternatively, to become a team leader. 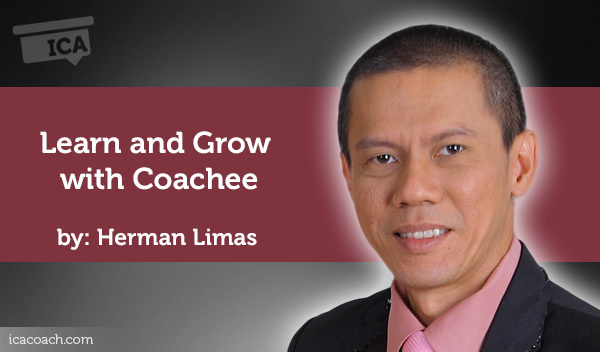 Wearing a coach’s hat, I am bound by ICA Ethics and Legalities. In the middle of powerful questioning, AT asks for my immediate advice’s a few times and expecting to have instant answer. He knows I have the answer. In such situation, I find myself in dilemma, whether to disclose the answer or to let AT keep going deeper in his inner search to find his own answer. I am committed to comply with ICA’s code of conducts, therefore I choose to let AT search further on his own. It was a good choice, for I can tell from his ‘magic moment’ expression when he found his answer claims ownership on it. What I learned from the session was I realized I have put a combination of the following coaching skills into practice. Active listening and Powerful Questioning. These skills contribute to exploring possibilities, covers as much ground as we can. Personal Governance value and Strength finding skill which contribute to creating awareness in AT. He admitted, it is something that he has overlooked, never realized to have such quality in him. Reframe perspective which helps AT to see beyond technical aspect and open up new opportunity for him. Visualization, to enrich AT vision of how his next level of career looks like. It can come in the form of collage or sketching a caricature poster. SMART goal setting, it will empower AT to take action. So far, AT acknowledge his action plan is to keep learning and pick up new skill. SMART goal setting will be useful to keep track of the progress and goal achievement. Wheel of life, this tool will clearly chart out AT’s present situation, identify where is the gap and working on action plan to close the gap. A combination of Wheel of life and SMART goal setting will empower AT to develop his strength. Underlying beliefs, from my point of view, the underlying beliefs will drive a person’s perspective. I am looking forward to an opportunity to work with AT for his underlying beliefs. We did not touch very much on this aspect during our coaching session. 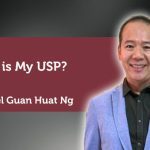 Coaching Case Study: What is My USP?